Neutrinos are some of the most common particles in the universe, but they're also some of the most mysterious. They have (almost) no mass and no charge, and can pass through solid objects (and entire planets) like we pass through air. But scientists at Duke University have successfully detected these 'ghost particles' doing something no one has seen before: scattering off the nucleus of an atom. 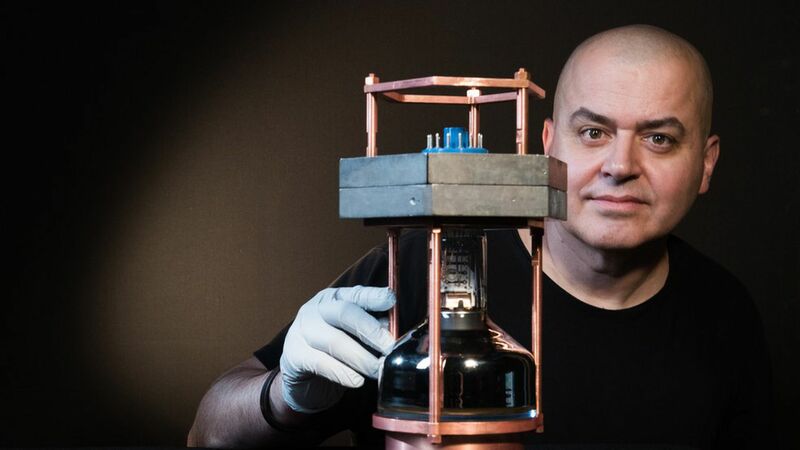 Why it matters: Currently, scientists study neutrinos by measuring the energy produced when they interact with a proton or neutron — a very rare event. Now that scientists know they can detect neutrinos scattering off a nucleus, they might be able to use them to detect supernovas, or use a similar technique to detect dark matter scattering off of nuclei, reports Science News. Physicists say understanding neutrinos is crucial to our understanding of the universe. They're produced by nuclear fusion and radioactive decay. Some scientists think neutrinos might be a part of why the universe is made up of matter and not antimatter. Handheld physics lab: Not only are neutrinos really, really hard to observe, most of the equipment currently used to detect them is really, really big and expensive. For example, the proposed India-based Neutrino Observatory requires a 50,000 ton calorimeter. But the researchers in this experiment used a detector about the same size as a champagne bottle.